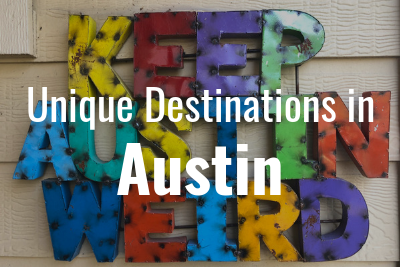 Austin is full of music, culture, and so much more--but more importantly, it’s home to the best charter bus and minibus rentals in the state. 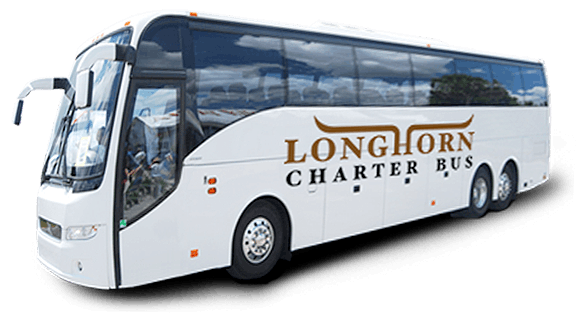 Longhorn Charter Bus is your go-to for simple, stress-free bus reservations in Austin and the surrounding areas. No matter what you’re looking for, we’ve got what it takes to handle it. Call our 24/7 reservation team at 512-827-0540 to start planning your trip! As the capital of music, Austin is the perfect city for every kind of person. Whether you’re in town for a professional conference, wedding, school event, sports function, or more, we’ve got the perfect bus for your group. Bus rentals are coupled with experienced, licensed drivers to ensure your complete safety and peace-of-mind. 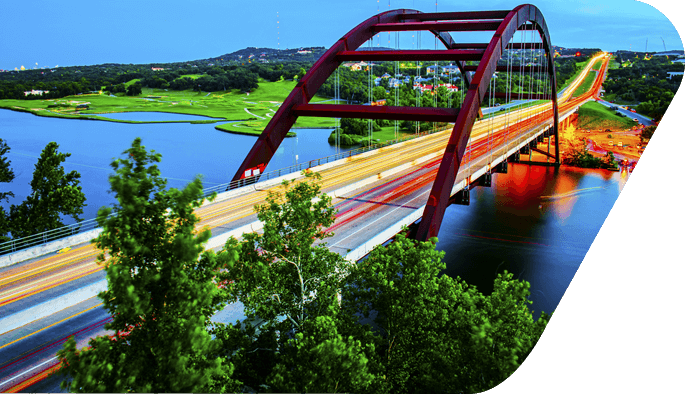 From the perfect weekend getaway to longer trips, you can ride to your top destination choices, like the Austin Nature & Science Museum or LBJ Presidential Library, with the finest amenities available. Choose from features like reclining seats, on-board restrooms, a radio system, WiFi, and many more for the ultimate Austin riding experience. Need anything special? Your reservation specialist will work around-the-clock to find you the best bus to fit your needs. Our reservation team is available 24/7 to help you plan your trip. Just call them any time at 512-827-0540 to begin your booking process. Organizing a group trip but stressing about all the transportation logistics? Longhorn Charter Bus helps make arranging large-scale transportation for any group event. We work with coaches, athletes, and die-hard fans to get them to their next game so they can focus on winning. Teams can sit back, relax, and pump each other up on the ride while their driver focuses on the transportation. Flat-screen TVs offer the perfect platform to review game highlights, and reclining seats offer the chance to rest up before the big game. Teams can also easily store all their sporting equipment and luggage in their bus’s spacious storage bay underneath the cabin. Cheer on the Texas Longhorns, Austin Spurs or your favorite team without the hassles of traveling on your own. Keep your group together and organized, and leave the game day traffic to Longhorn Charter Bus. We’ll drop you off and handle the parking while you focus on team spirit. Your bus will have plenty of room to store all your tailgating essentials, snacks, drinks, and more for the ultimate tailgating experience. Exploring Austin is even better with friends-- but larger groups can make transportation a mess. Luckily, Longhorn Charter Bus is an expert when it comes to transporting groups in and around Austin, no matter what the occasion. 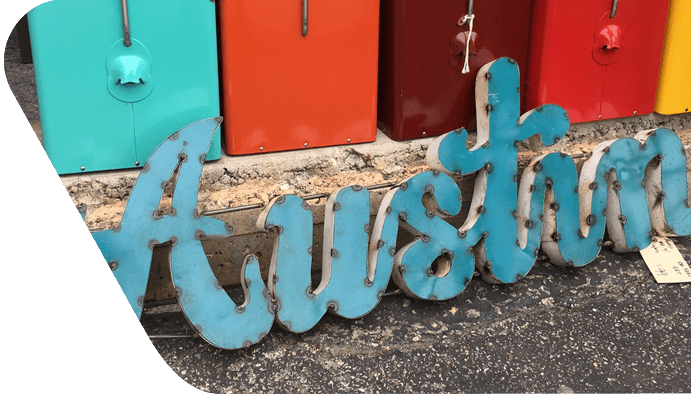 Jam out at The Moody Theatre, take a bike tour around Zilker Metropolitan Park, explore the Texas State Capitol, or get inspired at the Graffiti Park at Castle Hills. 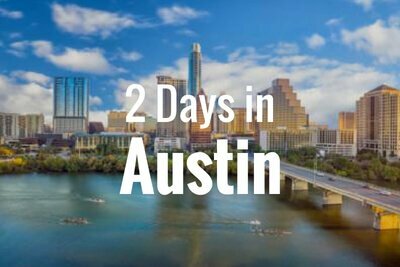 When you work with us, we give you the complete freedom to plan your trip however you want on your time so you can experience Austin how you want to. Longhorn Charter Bus knows that transportation can easily make or break your large-scale event. When attendees arrive late or not at all, your event can get off schedule, causing the rest of the day to be unorganized. Longhorn Charter Bus is a simple solution to keep groups together, on time, and organized. Your professional driver will arrive 15 minutes before your desired pickup time to ensure punctuality and efficiency. Shuttle attendees and clients to your corporate event at the AT&T Executive Education and Conference Center. Passengers will feel at ease without worrying about navigating busy streets, finding new places, and finding parking. With amenities like WiFi, power outlets, TVs, and more, employees can continue to answer emails, conduct meetings, and meet any deadlines while on the road. Party bus and minibus rentals make the perfect shuttles for weddings and other wedding events, like engagement parties, bachelor or bachelorette parties, and bridal showers. Shuttle guests to and from their hotel to your dream wedding at an elegant venue like Red Oak Ballroom. Guests will appreciate the chance to celebrate your wedding and enjoy without the worry of traveling on their own. Enhance your next school or church trip with a comfortable, reliable, and most importantly, safe charter bus rental. Traditional school buses don’t offer the same comfort and amenities as a charter bus does, including air conditioning, reclining seats, on-board restrooms, and so much more. 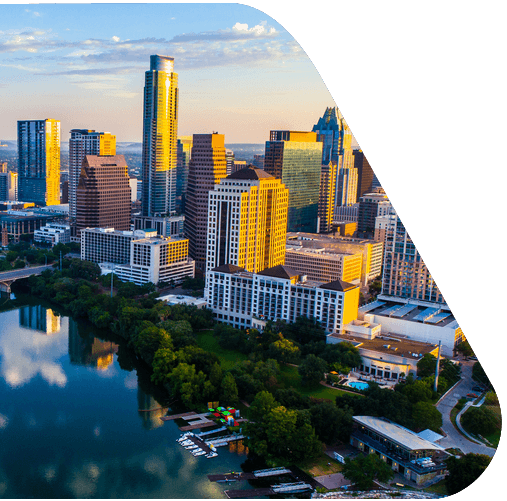 Explore your students’ top college choices, like The University of Texas at Austin, St. Edward’s University, Austin Community College, and more with your own personal charter bus rental. Because of our extensive experience working with school groups of all kinds, we’ll make your day of touring easy and fast. Forget trying to figure out where to park and how to get to each campus-- we’ll take care of all that while you focus on your tour. Take your students or youth group to Bullock Texas State History Museum, the Museum of the Weird, The Thinkery Children's Museum, and more in a private bus rental. Spend quality time with one another without dealing with transportation, and prepare for a full day of learning with a professional driver to help. With amenities like TVs with DVD players and on-board restrooms, the entire group will remain entertained and comfortable with the need for unnecessary stops, giving you more time in the day to explore. Planning a long-distance trip can be a hassle with a big group of people, but Longhorn Charter Bus specializes in efficient, easy group transportation. 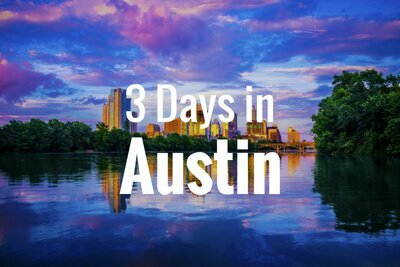 People who often visit Austin also enjoy taking their bus rental for sightseeing tours in nearby cities like Arlington, San Antonio, Houston, Dallas, Fort Worth, Waco, and more. Have any other ideas? We’ll help you plan the perfect trip! We make charter bus rentals easy and fast with 24/7 customer support and the best bus rentals in the industry. Learn more by calling us any time at 512-827-0540.